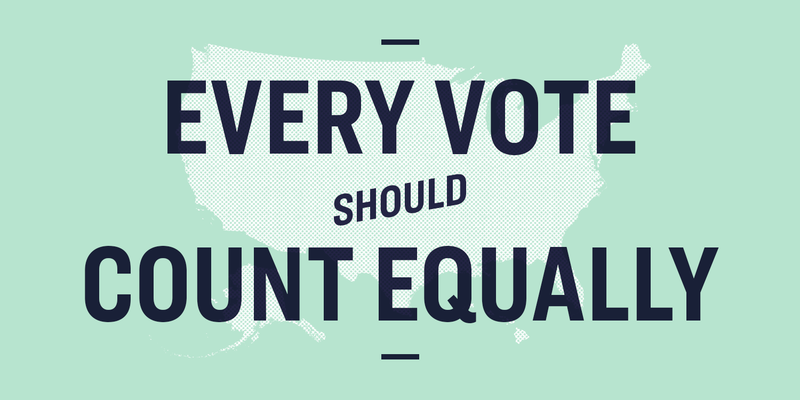 Everyone’s vote should count equally — in every election — no matter where they live. But right now, presidential candidates don’t even go to places like Mississippi, where I was last night, because it’s a deep red state. They also don’t go to deep blue states like California or Massachusetts because they’re not presidential battlegrounds. I believe presidential candidates should have to ask every American in every part of the country for their vote, not just a few random states that happen to be close. So at our CNN town hall last night in Jackson, Mississippi, I said it’s time to elect presidents with a national popular vote, and that means getting rid of the Electoral College. Sign our petition if you’re with me. This week, I’m spending time in Tennessee, Mississippi, and Alabama — talking with people about what matters to them in their communities. Like how we need to rebuild rural housing and make sure everyone can find a decent place to live at a decent price. But the way it works right now, come general election time, presidential candidates don’t travel to every state. They zero in on just a few battleground states, and they don’t get to hear about the issues that are on the top of people’s minds everywhere else in the country. But your power in our democracy shouldn’t be determined by where you live. Everybody running for president ought to have to come and ask for your vote. We can make that happen by replacing the Electoral College with a national popular vote. Add your name if you agree that everyone’s vote should have equal weight.